Your smile is often the first thing others notice about you. Straight, white teeth can enhance your entire facial appearance while crooked, dull-colored teeth can be distracting and take away from your other facial features. At The Art of Dentistry, we understand the effect your smile has on your overall appearance – which is why we offer the latest, most effective cosmetic dentistry techniques to help you achieve the smile you deserve. From teeth whitening to orthodontics, Dr. Robin Rutherford and our team of skilled hygienists and assistants can help you accomplish all of your oral goals. Below are descriptions of cosmetic dentistry treatments and procedures that Dr. Rutherford and our team can utilize to help you enhance your smile. For more information on the different techniques, please click the links provided or contact our office today. The color of your teeth is often vital to the aesthetics of your smile. Whether you choose our in-office Zoom® teeth whitening treatment or use one of our customized whitening trays in the comfort of your own home, our proven teeth whitening techniques can help you reduce discoloration and brighten your smile. Whiter teeth offer a more youthful appearance. Imperfections in your smile including gaps, chips, stains, and uneven teeth can be easily resolved using porcelain veneers. Dr. Rutherford can apply a dental veneer to the front of any tooth that can result in significant improvement of a number of issues. With porcelain veneers, you can have a long-lasting and natural-looking smile in two simple visits. A number of factors – including tooth extractions, shifting teeth, excessive gum tissue, and other conditions – can lead to uneven gums or a “gummy smile.” Using advanced gum reshaping techniques, Dr. Rutherford can recontour your gumline and help you enhance the appearance of your smile. Removable dentures and partial bridges can be ill-fitting and often inhibit your speech and chewing abilities. To avoid these issues, Dr. Rutherford offers permanent dental implants that are customized to fit comfortably in your mouth while matching the color and dimensions of your surrounding teeth. 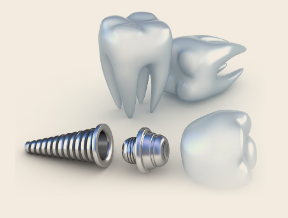 Dental implants are designed to yield results that both look and feel like your natural teeth. Implant supported dentures can be a great way to replace missing teeth and ensure your dentures function properly. By inserting an implant into your jawbone, Dr. Rutherford can secure your new dentures to your gums in order to maximize your chewing and speaking abilities. This procedure can be a useful alternative for patients who may not be candidates for full dental implants. No matter what your age, gaps, spaces, and misalignments among your teeth can lead to a lack of self-esteem and feelings of self-consciousness each time you smile. Dr. Rutherford and our staff are highly-trained in orthodontics and can help you straighten your teeth through a variety of effective orthodontic techniques, including braces. Six Month Smiles® is a revolutionary new technique designed to straighten your teeth in about six months. With clear braces designed to more gently move your teeth into a straighter position, Dr. Rutherford can enhance your smile in a quicker, more discreet, and more comfortable manner. At the Art of Dentistry, we offer the latest generation of all-porcelain crowns to repair chips, cracks or discoloration in your smile. These crowns contain no metal inside them, so you’ll never get that “black line” along the gumline as with older-type porcelain–to-metal crowns. Dental crowns fit over your original teeth, restoring function and strength to your smile. To learn more about the porcelain crowns we offer, contact Dr. Rutherford today. Dental bonding is often used to repair teeth that have minor imperfections such as cracks or chips and may serve as a more conservative alternative to porcelain veneers. After Dr. Rutherford preps the affected tooth, a composite resin material is bonded to the tooth’s surface and color-matched for a natural-looking appearance. The tooth-colored filling material is often an ideal solution for patients with front teeth that are slightly chipped, have a cavity between them, or are separated by a gap. Dental bonding can also provide subtle reshaping of a tooth and can lengthen worn teeth. To discover if this procedure is suited for your unique needs, please schedule an appointment with Dr. Rutherford. Dr. Rutherford offers patients metal-free restorations such as tooth-colored fillings. Unlike silver (amalgam) fillings, white fillings restore the natural appearance of decayed or previously filled teeth, providing patients with a pleasing, healthy-looking smile. Modern dentistry is increasingly moving away from metal and toward tooth-colored porcelain and composite materials. For more information on the metal-free treatments we offer, contact us today. The natural aging process typically leads to the compression of facial features. A dental facelift is designed to give you a more youthful-looking appearance by counteracting this process. Using carefully placed and positioned porcelain veneers, Dr. Rutherford can lengthen your facial structure without invasive surgery or the use of cosmetic injectables. The results may include the reduced appearance of wrinkles and fine lines, improved jawline definition, and enhanced lips and cheeks. A smile makeover is a comprehensive treatment plan that is custom-tailored to address numerous cosmetic concerns simultaneously. By combining multiple popular cosmetic dentistry procedures, Dr. Rutherford can transform the appearance of your smile. Candidates for a smile makeover typically wish to correct smile imperfections such as chips, cracks, gaps, stains, discoloration, worn or uneven teeth, excess gum tissue, missing teeth, and tooth misalignment. During the consultation process, Dr. Rutherford will explain which options may be most appropriate for improving your smile, as well as how a customized smile makeover can best suit your individual needs. To learn more about our variety of cosmetic dentistry treatments and procedures, or to schedule a consultation with Dr. Rutherford, please contact The Art of Dentistry.